Dust affecting VP requirements by twenty-five percent means that at a worst case scenario (or best case, depending which perspective you are coming from) it will take 2,250 VP, or around 113 plexes to make a system vulnerable. With no resistance, this could take fewer than 24 hours. While it does little to speculate, this does bring a few questions to my mind. First, how much will EVE players be able to counter the efforts of the Dust side war? One the one hand, if you don't give EVE players all that much control, and allow Dust pilots to have a significant impact on the warzone, it could greatly discourage Faction War pilots in general. A big factor leading to the demise of the Amarr Militia was their belief that things outside their control were hindering their abilities to make a comeback, whether this was through bugs, exploits, or unbalanced game mechanics. Putting this mentality on a grander scale with relation to Dust and the entirety of FW could be devastating. On the other hand, how can Dust truly succeed if it makes little to no impact on the war? If EVE players can counter Dust too much, then the exact same situation could become prevalent for Dust players --who become discouraged fighting a war that is persistently countered by people who have been waist deep in it for years. Secondly, how do you mesh a war that's been running for years, with a new game and a new player base? As much as I choke on the question, does CCP plan to reset the warzone? I could think of some pretty serious repercussions that would result from this, especially concerning the current FW community. I'm sure that CCP already knows this, else they would have done a reset for Inferno. And yet, how do you offer a new game to people and expect them to jump into a war where they may already be losing? Thirdly, are we biting off more than we can chew? One of the things that CCP admitted to in the past with Incursions (a mechanic that was also overhauled, and then later had several changes rolled back due to issues) was that they introduced too many changes at one time. 1. Completely rework payouts and the warzone control tier reward system. For all practical purposes, the entire payouts systems will be completely different from Inferno 1.0. 2. Completely revamp the cost of upgrading, as well as introduce upgrade taxes. Also, they intend to change the bleed rate (ie: the amount of I-HUB LP an attacker can ‘bleed’ from the system) from the current fast speed, to the opposite end of the spectrum. 3. Revamp NPCs across the board in both plexes and missions. 4. Completely revamp the mechanics surrounding plexes, which is the foundation for all sovereignty in Faction War. 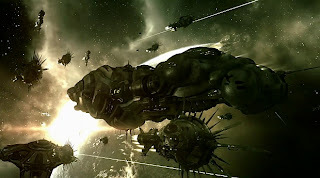 On top of this, CCP plans to completely revamp the entire underlying pvp systems that FW rely upon. This include Crime Watch –the details of which have not been released, but can be assumed to significantly impact FW, being that the warzone is primarily located in low-sec. This also includes the majority of the ships used in Faction War plex warfare –including tech 1 frigates, tech 1 cruisers, and battlecruisers –especially Hurricanes and Drakes. The new cruiser revamps alone will force Faction War pilots to completely revamp their pvp fleet doctrines, and completely rethink how they pvp in plexes. 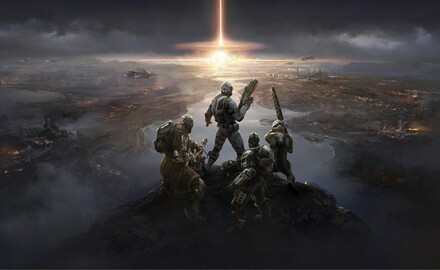 Then, once all this is said and done, we are completely incorporating the mechanics of an entirely new game into the mix, whereby tons of Dust 514 players will suddenly be dumped into the warzone, affecting contestation, sovereignty, and etc. After seeing how shoving massive amounts of changes on Incursions negatively affected those game mechanics, I wonder if any thought has been given that Faction War could experience the same issues from so many changes at once? Don't get me wrong. I'm sincerely happy that CCP is paying so much attention to Faction War. But I still can't shake this sense of "you better stuff as much into the Winter expansion, because we're not going to have a chance like this" mentality. And, I wonder, if in doing so we aren't signing our own suicide note in the process. Right now, a lot of the people I fly with are very skeptical about Dust, and how it's going to work with FW. It could become the straw that tips the camel back, or it could be the best thing that ever happened to FW--providing something that revitalizes pvp and brings new interest in the FW mechanics. Either way, I will be curious as to how CCP handles the entire process in the coming weeks and months. Don't worry about it for now - just play the game and have fun. That's the advice I give to everyone. Wait and see what actually happens, come winter. Then, you can choose whatever side of the rants and ravings that best suits you, pick up a torch and pitchfork, and join the mob. Yeah...it didn't feel like my blog without the exploding ships in the background :p So I changed it back. As you said, the changes can be good. If you and your dudes are worried about how the changes impact your game, follow the announcements closely and take part in the testings. Make sure they get your feedback BEFORE it is deployed to TQ not screaming afterwards. There is still the chance that ccp won't listen but in current state the odds are in your favor that they will.